In one of the first concrete examples that the Federal Information Technology Acquisition Reform Act, known as FITARA, has indeed delivered new authorities to agency chief information officers, Transportation Department CIO Richard McKinney this week froze all IT purchases across the agency until component agency CIOs deliver a strategic spending plan. The decision came after Mckinney attended a meeting of senior acquisition representatives from DOT’s 12 operating components—which include the Federal Aviation Administration and the National Highway Traffic Safety Administration, among others—at which officials acknowledged that components were engaged in major IT purchases with no oversight or plan for how that technology would affect the agency’s overall infrastructure. Such freezes are not unheard of in government. Last year, Defense Department CIO Terry Halvorsen issued a similar freeze for all purchases over $1 million without the military services and components coordinating directly through the Pentagon CIO’s office. Authored by Rep. Gerry Connolly, D-Va., and Rep. Darrell Issa, R-Calif., and passed into law late last year, FITARA is designed to enhance the authority of federal agency CIOs by giving them powers over hiring, project funding, and approvals, and the ability to delegate responsibilities to subcomponent CIOs. It also takes aim at data center consolidation, redundant IT systems, and agile development practices that will lower costs and avoid major program failures. It is considered the most comprehensive overhaul of federal IT acquisition since the 1996 Clinger-Cohen Act. He acknowledged knowing of some reluctance at the agency level to embrace change. “There are some agencies that are pushing back. We will push back very hard on that,” Connolly said. 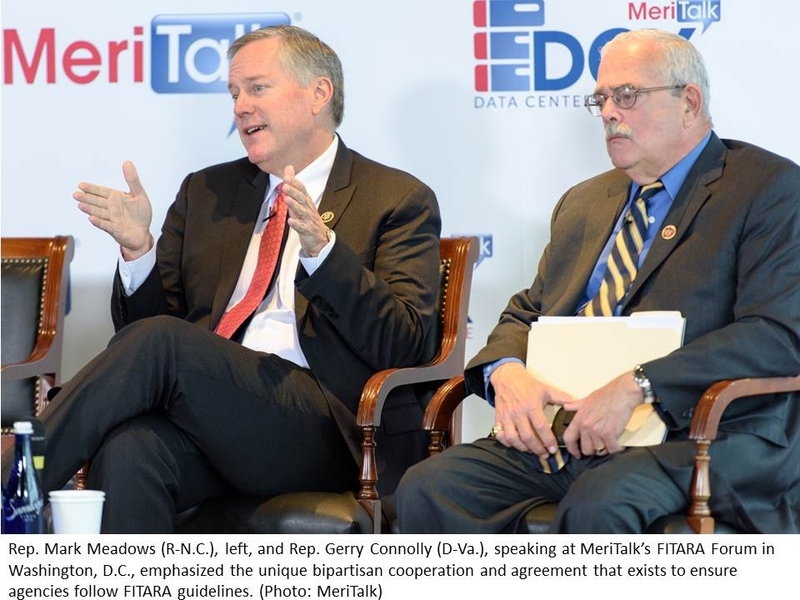 “There is absolutely no light between us,” he said, referring to the bipartisan support for FITARA on Capitol Hill. McKinney’s IT spending freeze “generated quite a conversation” at the component level throughout the Transportation Department, he acknowledged. At first, some component CIOs reacted by saying McKinney didn’t have the authority to take such actions. “And then it was, oh, he does, OK, whoops,” recalled McKinney.